The great stone circle at Avebury is less well known than Stonehenge, yet many visitors find the Avebury monuments more awe inspiring and interesting than its smaller, more famous cousin. Add to this the fact that Avebury is free to enter and you can begin to understand why many people consider this site the forgotten gem of british heritage. 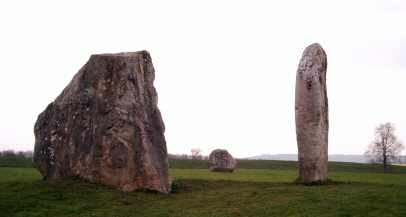 Avebury is just off the A4 close to Marlborough, Wiltshire. 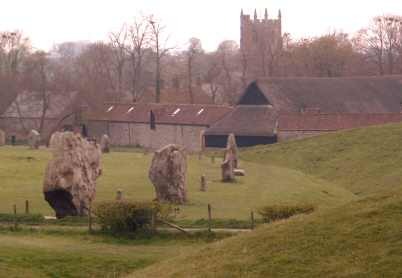 When you arrive you will be struck by the vast scale of the great stone circle, encompassing part of the village of Avebury, itself enclosed by a ditch and external bank and approached by an avenue of stones. The site museum tells the story from an archaeological perspective, while the village bookshop caters to the more mystical interpretations.